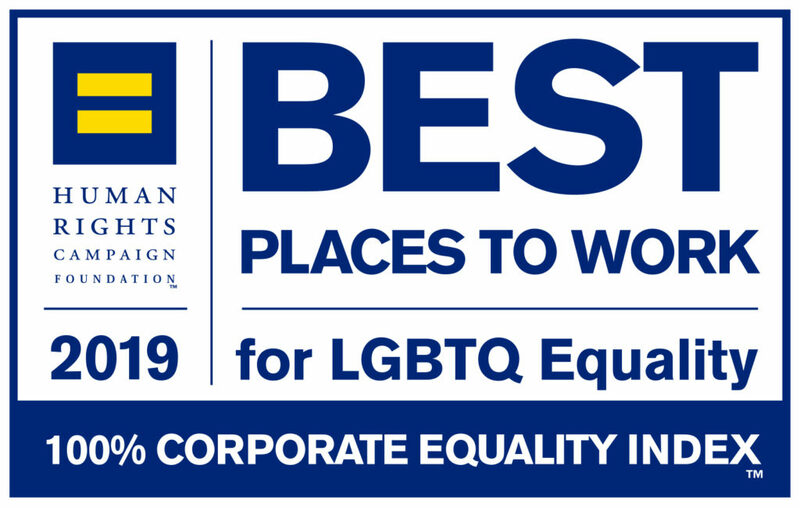 Asurion, the global leader in helping people unlock the potential of technology, announced today that it received a perfect score of 100 on the 2019 Corporate Equality Index (CEI), the nation’s premier benchmarking survey and report on corporate policies and practices related to LGBTQ workplace equality, administered by the Human Rights Campaign (HRC) Foundation. Asurion is one of just two Nashville-based companies and one of just four Tennessee-based companies to earn a perfect score on the CEI this year. It joins the ranks of over 560 major U.S. businesses that also earned top marks. The 2019 CEI evaluates LGBTQ-related policies and practices including the non-discrimination workplace protections, domestic partnership benefits, transgender-inclusive health care benefits, competency programs, and public engagement with the LGBTQ community. Allowing employees to use their preferred name at work.